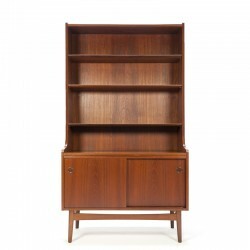 Vintage Danish teak bookcase from the mid sixties. 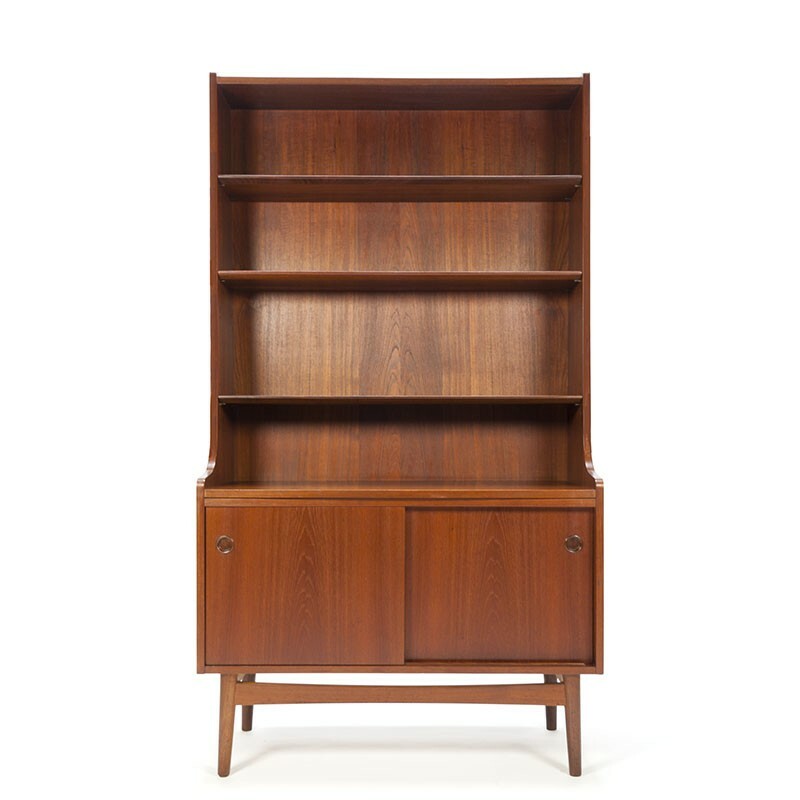 Designed by Johannes Sorth for the Nexø furniture factory. 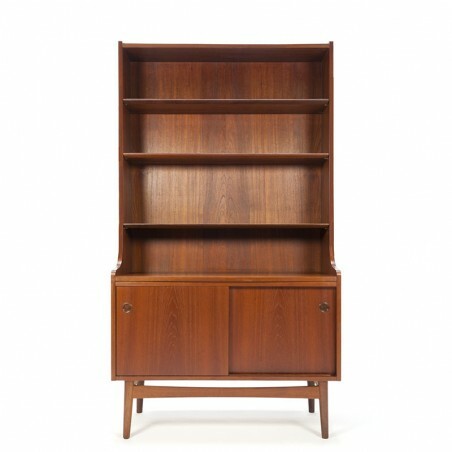 Beautiful model with sliding doors at the bottom of the cabinet and 3 book shelves that can be set in height. The condition is good considering the age, minimal traces of use, see the details. The dimensions are 100 cm wide, 42.5 cm deep and 182 cm high.